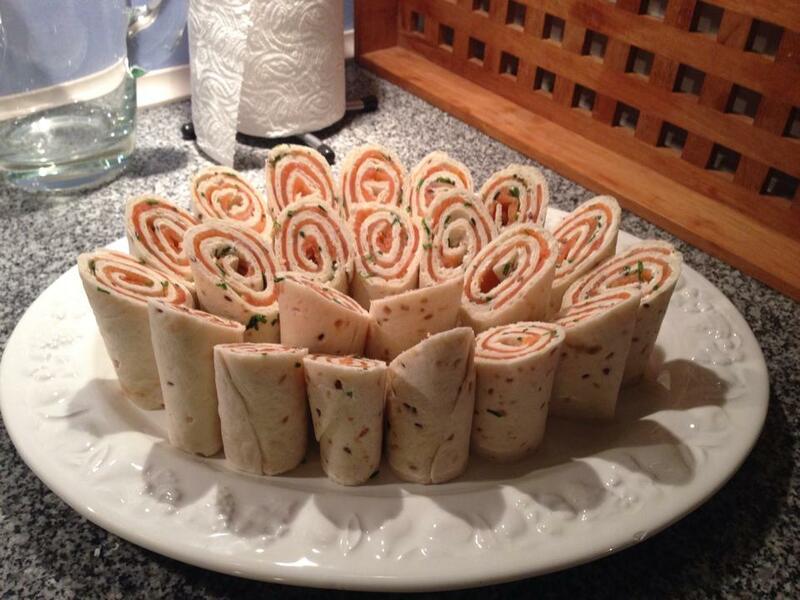 Wraps with salmon and cream cheese! Just wanted to share this really easy, delicious recipe with you! HOPE YOU LIKE IT! 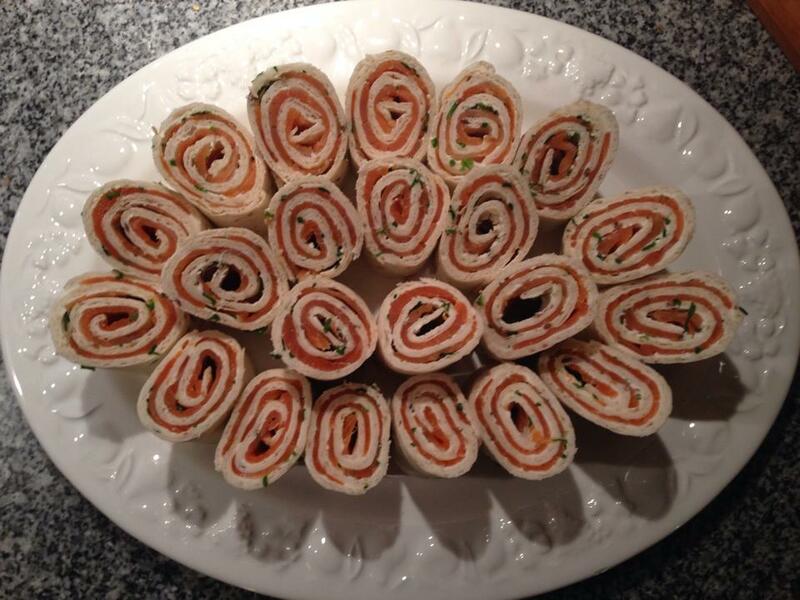 How to: Spread the cream cheese, the salamon and the chives on your wraps and roll them tightly. Cut the ends of and cut the rest into quarters – like on the picture underneath. Arrange beautifully and serve! Yum yum!